- Hormone Map schematic. Looks a bit over whelming at first and may require some color coding by you for mechanisms of action (Gq, cAMP, IP3/DAG, etc..), but proved useful for Exam time. 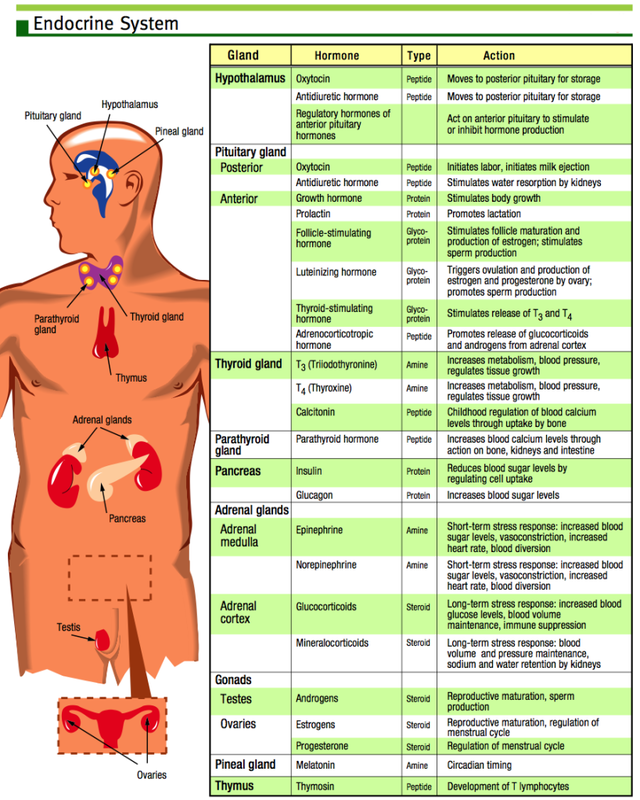 - This is an overview of endocrine system physiology. I completely forgot to mention, my apologies, that steroid hormones are also slower in eliciting a cellular response than peptide hormones. - Illustrated tutorial giving an overview of the hormones secreted from the anterior and posterior pituitary gland, and the role played by the hypothalamus.